Whoopi Goldberg was taken to a whole new world when she visited Aladdin on Broadway. 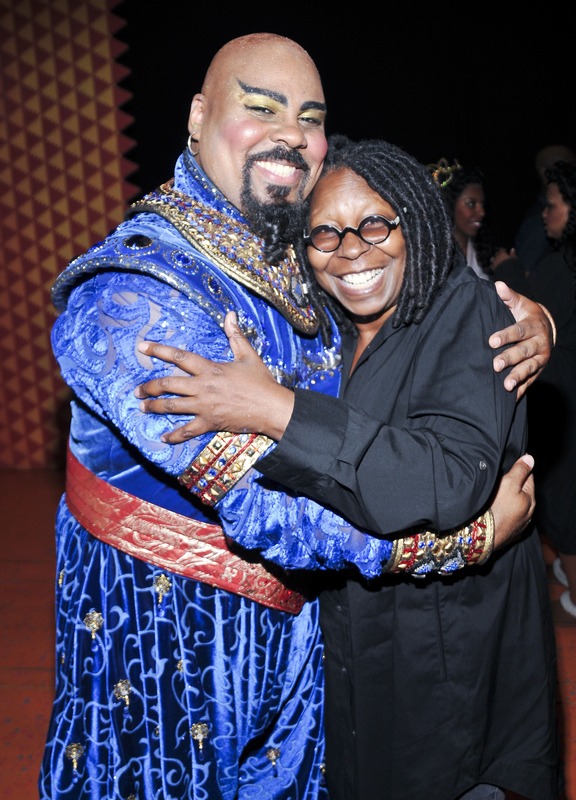 The Emmy, Grammy, Oscar, and Tony award winner was seen posing with James Monroe Iglehart backstage at the New Amsterdam Theatre. 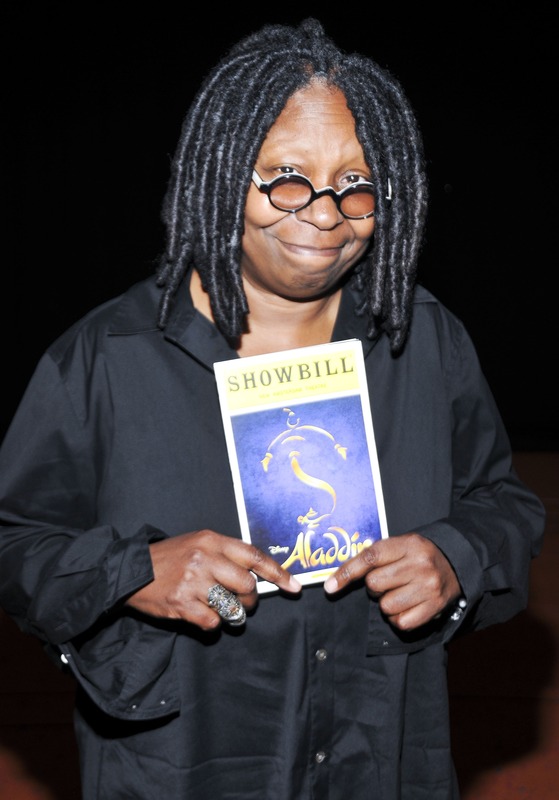 Whoopi called his performance “the meaning of sensational!” And she would be right. James has recently been awarded with a Tony nomination for his outstanding role in the Disney musical comedy. Produced by Disney Theatrical Productions, the show features music by Tony Award® and eight-time Oscar® winner Alan Menken (Beauty and the Beast, Newsies, Sister Act), lyrics by two-time Oscar winner Howard Ashman (Beauty and the Beast, The Little Mermaid), three-time Tony Award and three-time Oscar winner Tim Rice (Evita, Aida) and three-time Tony Award nominee Chad Beguelin (The Wedding Singer), with a book by Beguelin, and is directed and choreographed by Tony Award winner Casey Nicholaw (The Book of Mormon). In a cast of 34, Aladdin also features Tia Altinay, Mike Cannon, Andrew Cao, Lauryn Ciardullo, Joshua Dela Cruz, Yurel Echezarreta, Daisy Hobbs, Donald Jones, Jr., Adam Kaokept, Nikki Long, Stanley Martin, Brandt Martinez, Michael Mindlin, Rhea Patterson, Bobby Pestka, Khori Michelle Petinaud, Ariel Reid, Jennifer Rias, Trent Saunders, Jaz Sealey, Dennis Stowe, Marisha Wallace and Bud Weber.